How to design attractive environments? Some knowledge or topics can be not much attractive whereas they must be learned. Place the topics into a world satisfying needs of fantasy. For example, Starbank aims at making discover the processes and services of a bank. 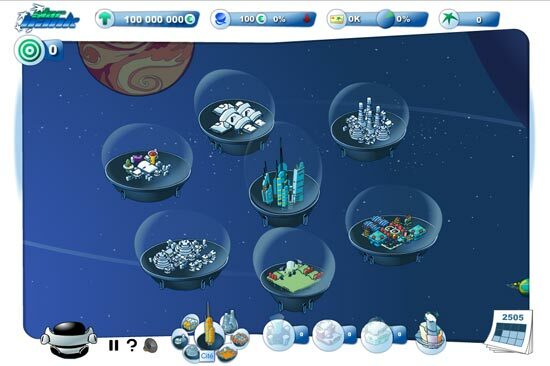 In order to make the Serious Game more attractive, the action takes place in a futuristic city in space (see picture) where customers are aliens.